PT. Ebara Indonesia is committed in conducting the business base on good ethic, responsibility, professionalism and integrity. Our goal is not merely on producing, good quality products, but we also focusing in maintaining the availability of our genuine spare parts our customers. Through integrated and excellent quality control system, we can provide full guarantee for our products and services. 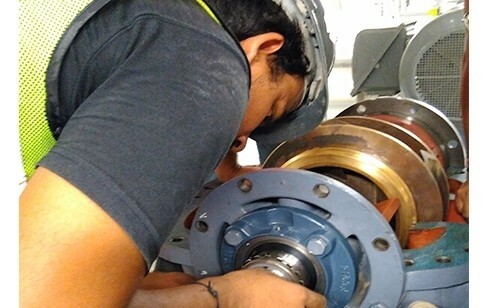 Our Workshop located in Cimanggis is equipped and supported by manufacturing facilities, high standard machine tools therefore provide a comprehensive range service and maintenance for pump, chiller and cooling tower, which are conducted both in house and on-site. Our workshop are staffed with highly trained personnel with many years of experience in service with commitment to service excellence. An overhaul in Ebara workshop will cut back overhaul times and gives guaranteed quality, reducing the risk of breakdown during operation.